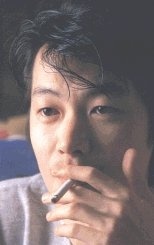 Yoshihisa Tagami is the elder brother of mangaka Iku Oyamada. Distinctly Retro 80s but that's a very unique mark which is extremely hard to find in today's mass media. Also wrote Karuizawa Syndrome. And much more recently, Karuizawa Syndrome Sprout. Extremely under-appreciated titles, very offbeat.